The study aims to forecast the research output of four selected countries (USA, China, India and Pakistan) using two models of Grey System Theory—Even Model GM (1, 1) and Nonhomogeneous Discrete Grey Model (NDGM). The study also conducts publication growth analysis using relative growth rate (RGR) and the doubling time (D t). The linear and exponential regression analyses were also performed for comparison. The study also proposes and successfully tests two novel synthetic models for RGR and D t that facilities the comparison of the countries’ performance when actual data and forecasted data produce different sequences of performance in the given period of time. The data of documents published by the four countries from 2005 to 2016 was collected from SJR/Scopus website. Performance criterion was Mean Absolute Percentage Error. The study confirms that NDGM is a better model for forecasting research output as its accuracy level is higher than that of the Even Model GM (1, 1) and statistical regression models. The results revealed that USA is likely to continue leading in research output at least till 2025 however the research output difference between USA and China is likely to reduce. The study reveals that the less developed countries tend to possess higher relative growth rate in publications whereas the more developed countries tend to possess lower relative growth rate. Further, the more developed countries need more time for publications to double in numbers for a given relative growth rate and less developed countries need less time to do so. The study is original in term of its analysis of the problem using the models involved in the study. 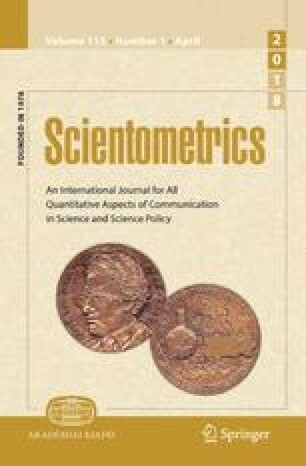 The study suggests that the strategies of USA and China to enhance the research output of their respective countries seem productive for the time being however in long run less developed countries have greater competitive advantage over the more developed countries because of their publication growth rate and time required to double the number of publications. The study reported nearly linear trend of growth in research output among the countries. The study is primarily important for the academic policy makers and encourages them to take corrective measures if the growth rate of their academic/publishing sector is not reasonable. A correction to this article is available online at https://doi.org/10.1007/s11192-018-03003-w. This work was supported by the Marie Curie International Incoming Fellowship under the 7th Framework Programme of the European Union entitled “Grey Systems and Its Application to Data Mining and Decision Support” (Grant No. FP7-PIIF-GA-2013-629051), a project of the Leverhulme Trust International Network entitled “Grey Systems and Its Applications” (IN-2014-020) and the National Natural Science Foundation of China (71671091). The authors want to thank GreySys Analytics, a project of GreySys Foundation and the Academy of Young Researchers and Scholars, Pakistan, for its assistance in data collection, data entry, formatting and proofreading. The corresponding author is the recipient of the Chinese Government Scholarship thus he wants to thank the Chinese Scholarship Council as well. The authors also want to thank the anonymous/blind reviewers of the journal for their constructive feedback on the earlier versions of the paper. Javed, S. A., & Liu, S.F. (2017). Evaluation of project management knowledge areas using grey incidence model and AHP. In Paper presented at the 6th IEEE International Conference on Grey Systems and Intelligent Services. Stockholm, Sweden: IEEE. https://doi.org/10.1109/GSIS.2017.8077684. Nature. (2014). Central & South Asia. Nature, 515, S89–S90. https://doi.org/10.1038/515S89a. Retrieved from https://www.nature.com/nature/journal/v515/n7526_supp/full/515S89a.html. Nature. (2016a). US tops global research performance. http://www.natureindex.com/news-blog/us-tops-global-research-performance. Nature. (2016b). 2016 tables: Countries. http://www.natureindex.com/annual-tables/2016/country/all. Nature. (2016c). Ten institutions that dominated science in 2015. Retrieved from https://www.natureindex.com/news-blog/ten-institutions-that-dominated-science-in-twentyfifteen. Neuroskeptic. (2012). Science: Growing too fast?. The official blog of the Discover magazine. Retrieved from http://blogs.discovermagazine.com/neuroskeptic/2012/09/30/science-growing-too-fast/. NSF. (2016). Science & engineering indicators 2016. https://www.nsf.gov/statistics/2016/nsb20161/uploads/1/nsb20161.pdf. OECD. (2017). Research and Development Statistics (RDS). Retrieved from http://www.oecd.org/innovation/inno/researchanddevelopmentstatisticsrds.htm. Scopus. (2017). SCImago Journal & Country Rank. http://www.scimagojr.com/countryrank.php. UN. (2007). Gross domestic expenditure on research and development as a percent of gross domestic product. Accessed from http://www.un.org/esa/sustdev/natlinfo/indicators/methodology_sheets/econ_development/resesarch_development_expenditure.pdf. USR. (2015). UNESCO science report: Towards 2030. Accessed from http://unesdoc.unesco.org/images/0023/002354/235406e.pdf.